Pork loin is a relatively lean and flavorful cut, and it can be found boneless or on the bone. Don't confuse the pork loin roast with the pork tenderloin, they are different cuts and require different cooking methods and times. When cooked too long with moist heat, they can become a bit tough and can fall apart. 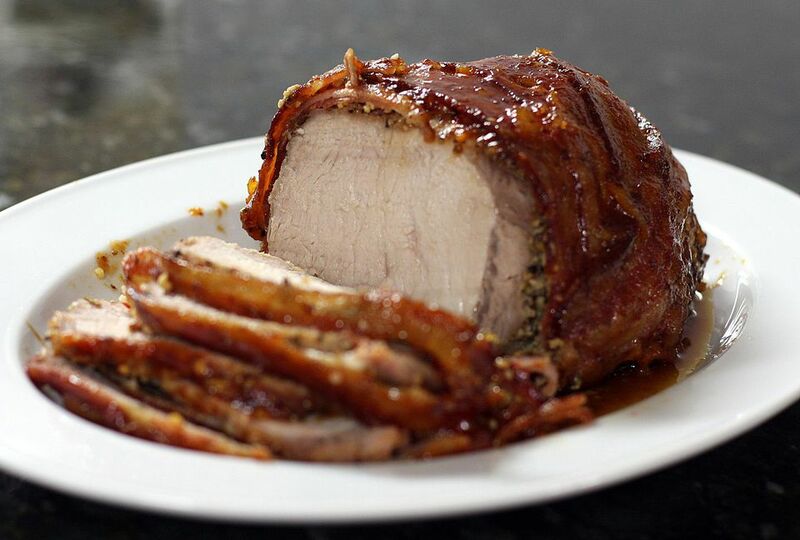 A roast can be slow cooked, but unlike a pork shoulder, the loin should be checked early for doneness. For extra flavor, consider covering a pork loin with a brine and let it marinate overnight.